A rapid and highly sensitive method for the determination of isoniazid (INH) in human plasma using HPLC-UV was developed and validated. INH was extracted from human plasma by a simple single step derivatization along with protein precipitation extraction technique. An extraction recovery was found to be 100%. Chromatographic separation was carried out on a Hypersil BDS C8 column (250 mm × 4.6 mm, 5 µm) with an isocratic mobile phase of buffer: acetonitrile (50:50, v/v) and a total run time of 6.0 min. 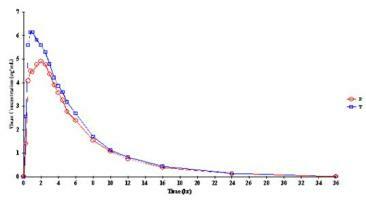 The standard calibration curves showed excellent linearity within the range of 0.05–17.96 µg/mL (r = 0.990). The method showed excellent inter and intra day precision and accuracy. This method was successfully applied to a pharmacokinetic study after oral administration of isoniazid tablet to healthy male Indian volunteers. This method can also be applied for routine quality control sample analysis with high throughput.